Now that my cat is eating again, this was the look I got today when I tried to ignore the alarm. See, I can’t get any rest! 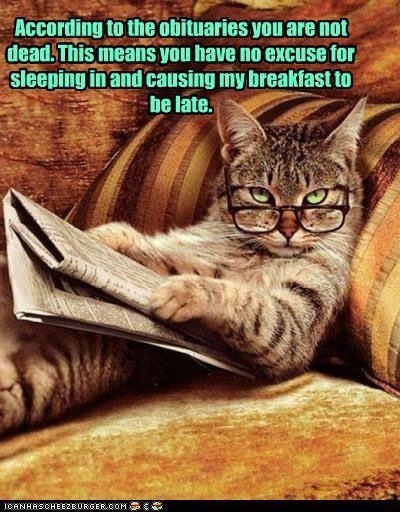 And I just adore the website that posts these awesome cat pictures! Ahh, there it is. The pic showed up for me this time. That sure looks and sounds like my Dude. Looks and sounds like mine, too Laurie.